Fortunately, the weekend rains gave way to sun on Monday afternoon. 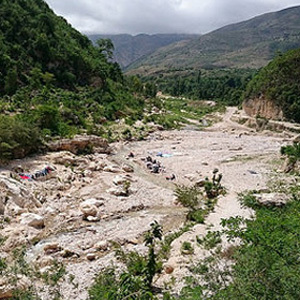 Tuesday, food and supplies delivered to Jeremie on Friday finally made their way to Sassier. The road is too steep and slippery for the large truck when the road is wet. Now that three weeks have elapsed since the Hurricane, Reality is sinking in. Reality is that there will be no quick or easy solution; that famine and disease may be imminent if more food and supplies do not get to remote villages and hamlets. Reality that the process of rebuilding will be measured in months and years, not weeks. The Reality is very sad, but it is inescapable. Fortunately, the Sassier area has friends like you. Many places have no friends these days. Thanks to you, Sassier has food, metal roofing sheets to repair some of the homes, and funds for a work program to continue the cleanup and begin the recovery. 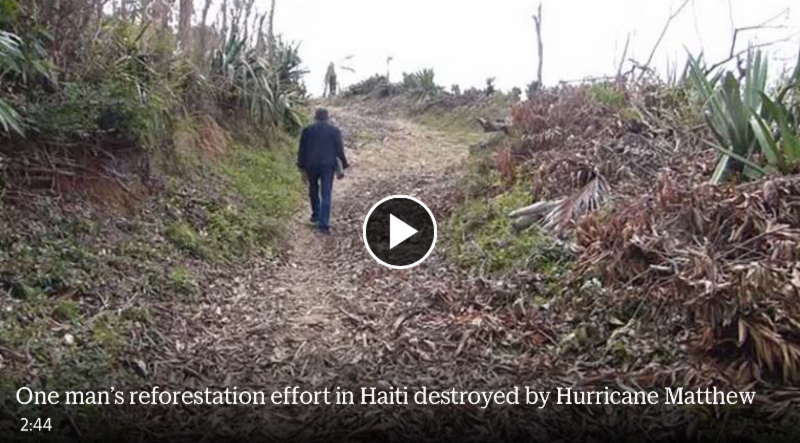 Over the weekend, the Miami Herald published two videos from the Jeremie area that give more insights into the Reality. Both of the people have deep roots in the Jeremie area and know Sassier very well. Ericq Pierre was born and raised in the Sassier parish. Bette has lived and worked providing health services in the rural areas near Jeremie, including Sassier, for nearly 30 years. You can view those videos below. 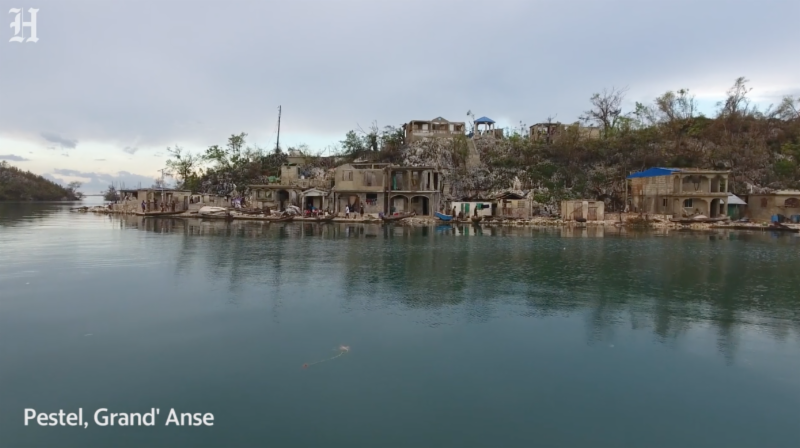 Longtime Jeremie resident Bette Gebrian-Magloire is concerned that without long-term development the situation in Haiti’s Grand’ Anse will further deteriorate in the wake of Hurricane Matthew. Erica Pierre – a former board member of the Inter-American Development Bank – is among the tens of thousands of Haitians hard-hit by Hurricane Matthew. We hope their stories help you to better understand the Reality facing our sisters and brothers in Sassier–and why they thank you everyday!